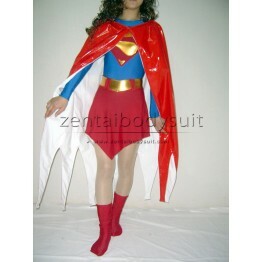 Supergirl was created as the counterpart to Superman, and she is the cousin of him. 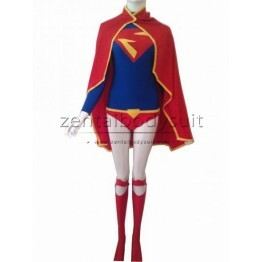 Cape is attached..
Supergirl was created as the counterpart to Superman, and she is the cousin of him. On this suit, th..